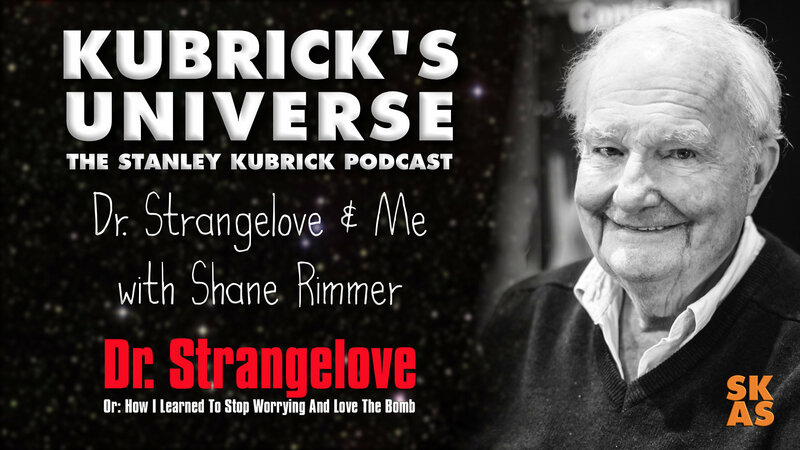 03 Shane Rimmer : Canadian born actor Shane Rimmer talks to Kubrick's Universe about his time on set shooting Dr. Strangelove with Stanley Kubrick in 1963. Shane Rimmer (born 28 May 1929) is a Canadian actor, voice actor and screenwriter, known for providing the voice of Scott Tracy in the British television series Thunderbirds (1965–66). Rimmer has appeared in many films and television series produced in the United Kingdom, having immigrated to England in the late 1950s, initially performing as a cabaret singer before auditioning for Thunderbirds. His appearances include roles in films such as Dr. Strangelove (1964), Rollerball (1975), The Spy Who Loved Me (1977), Gandhi (1982), Out of Africa (1985) and Crusoe (1989). More recently, he has appeared in Spy Game (2001) and Batman Begins (2005). In the earlier years of his career, Rimmer appeared uncredited in, among other films, You Only Live Twice(1967), Diamonds Are Forever (1971), Star Wars (1977) and Superman 2 (1980). With the exception of cast members playing recurring characters, he has appeared in more James Bond films than any other actor. He also is believed to have provided the voice for the character Hamilton (played by Robert Dix) in Live & Let Die (1973).